Anthrodesign will be fifteen years old this year. I am fortunate to be part of such an intellectually stimulating, respectful, and engaged community. Over the years I’ve been asked many time about how the list came to be, and what the future might hold. If you’re interested, you can learn more on my professional blog. I would welcome your comments! Categories: update | Tags: news | Permalink. This year, the Annual Meeting of the American Anthropology Association was held in Minneapolis, MN. Our session on Design Anthropology was organized by Christine Miller and Emilie Hitch, and sponsored by the National Association for Practicing Anthropology (NAPA). Some of the papers from this session are available below. Design anthropology is an emerging transdisciplinary field that brings together design’s fundamental orientation to change and critical anthropological perspectives in a radical approach to future-making characterized by “inclusive, collective, and public approaches” (Ehn, Nilsson, & Topgaard, 2014). Design anthropology is practiced in many different ways depending on the purpose of the study or project, the client, the composition of the research team, the context, and the community or “users” who are the subjects of the study. Design anthropology reflects a shift from stasis to process that extends the ethnographic gaze (Halse, 2013). This shift is at the heart of design anthropology practice and key to capturing the position of the anthropologist as both an observer of the transformative process while simultaneously being an active agent within it. The diversity of design anthropology praxis is broadly evident in two main streams, one represented by the EPIC community (Ethnographic Praxis in Industry Conference) and the other as it has evolved in Europe and Scandinavia with strong ties to the tradition of participatory design. The EPIC community is rooted in business anthropology and strong business and corporate affiliations. The locus of design anthropology as it is evolving in Scandinavia and Europe tends to be centered in academic institutions, for example, The Royal Danish Academy of Fine Arts Schools of Architecture, Design and Conservation (KADK) which hosts the website of the Research Network for Design Anthropology (https://kadk.dk/en/research-network-design-anthropology). In spite of this diversity, design anthropology embodies an emerging set of principles that define design anthropological practice. These principles include commitments to transdisciplinarity and collaborative process, participatory design that includes a wide range of stakeholders, ongoing methodological experimentation and design for social impact. Design anthropological projects are characterized by rigorous critique and iterations that take into account both intended and unintended consequences of proposed designed artifacts. The explicit aim, to achieve transdisciplinary collaboration, challenges team members to articulate and demonstrate how their individual contributions add value to the project. It requires thinking beyond disciplinary boundaries and subordinating individual disciplinary biases, focusing instead on the dynamics of whole systems and what other disciplinary perspectives can contribute and how they can add value. Presenters will explore various forms and traditions of practice within design anthropology. We are in discussions about perhaps turning the presentations into a journal issue. The New School for Social Research (NSSR) in NYC seeks to make a tenure-track appointment at the Assistant Professor level in the Department of Anthropology to begin Fall 2016. The ideal candidate will complement the department’s emphasis on interdisciplinarity, conceptually rigorous and ethnographically grounded scholarship, and innovative pedagogy. Geographic area and subject specializations are open. We are looking for applicants with a research focus on urban social ecologies: this includes work on infrastructures, digital technologies and networks, zones of reconstruction or occupation, the politics of mobility and sustainability. We encourage applicants whose scholarly work and intellectual practice reach across theoretical and disciplinary divides and in particular we are looking for applicants motivated to play a role in developing and teaching in a new graduate program in design and anthropology being developed in conjunction with the school of design (Parsons). The New School is committed to maintaining a diverse educational and creative community, a policy of equal opportunity in all its activities and programs, including employment. The University is engaged in a diversity initiative and we encourage individuals from groups underrepresented in U.S. higher education to apply. We do not discriminate on the basis of race, color, ethnicity, national or ethnic origin, citizenship status, religion, gender, gender identity, sexual orientation, age, disability, veteran or marital status. Further details on the department, the role, and the submission deadline is available at the New School for Social Research website. Categories: jobs | Tags: education, nyc | Permalink. The Ethnography Matters, Anthrodesign, and EPIC teams have created a Slack channel for conversations about ethnographic methods. At Ethnography Hangout, we are an interdisciplinary group wearing many hats from design to tech and research, so you don’t need to have any formal background in ethnography to participate. Founded in 2002, Anthrodesign’s mailing list established a space for people working at the intersection of applied anthropology and design. Since 2005, EPIC has been promoting ethnography in organizations though the field’s premier annual conference, and more recently through an online community and professional resources. Launched in 2012, the Ethnography Matters blog has created publicly accessible content from people working in industry to academia at the cross section of technology and people. Despite having been formed at different times for different reasons, all three organizations are committed to a people-centric to organizations, products, and services, thereby expanding the field of applied ethnography. 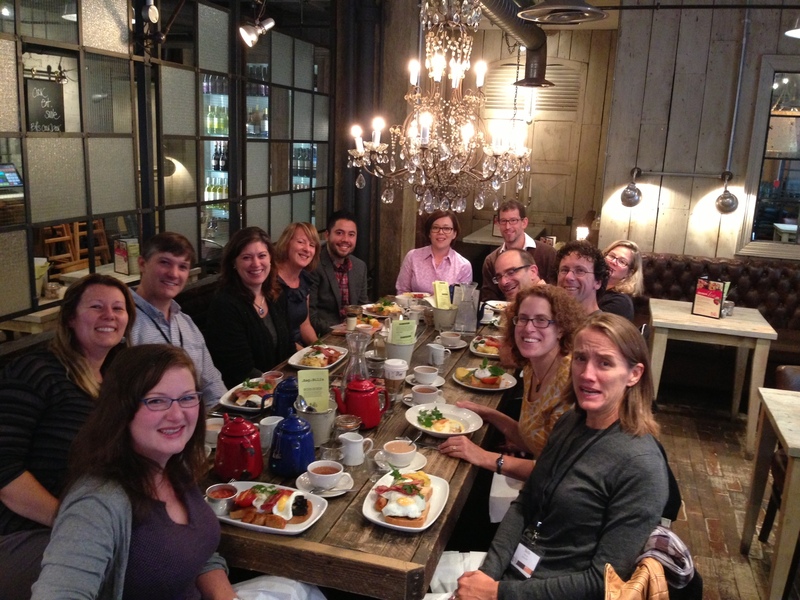 The Ethnographic Praxis in Industry Conference (EPIC) was held in London this year. 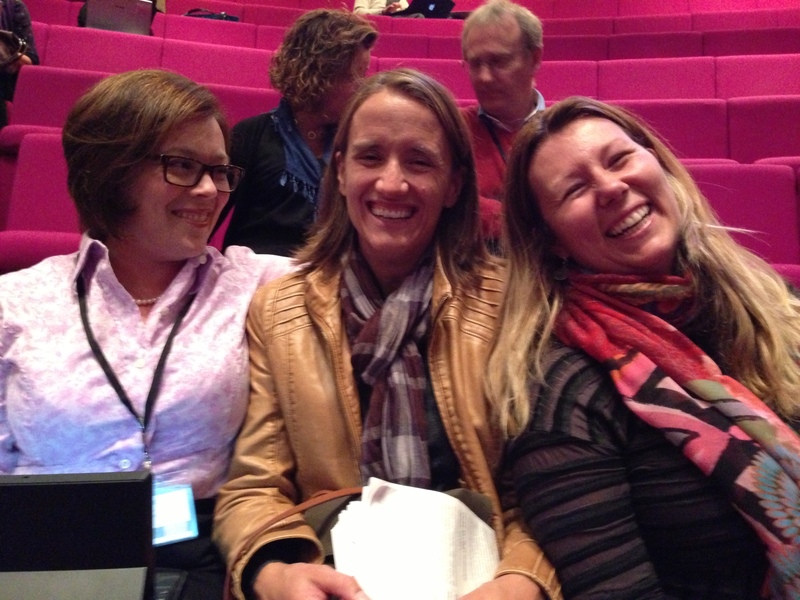 You can follow the organizers on Twitter and/or read the Twitter stream (hashtags #epic2013, #epicsocial, #epicthd). There is also a Flickr site, though our pictures seem to be mixed in with an event at the Jewish Federation of NY, which makes for an interesting contrast. For a minute there I was thinking … were there really people in full-length gowns at the dinner and I just missed it?! I just didn’t have it in me to do real-time blogging this year … and with the tragically limited wifi it was hard to even get a timely tweet out. But James Turner (@JamesAsterisk) did an amazing job real-timing blogging EPIC2013, so if you want to read a summary, that’s a great starting place! The draft proceedings may still be online, though they usually come down after the event. Though – bonus! – now the proceedings from years past are now available on the conference website. It was great to be there and re-connect with members of the anthrodesign community! Here are a few pictures from our gathering at Bill’s in Soho. 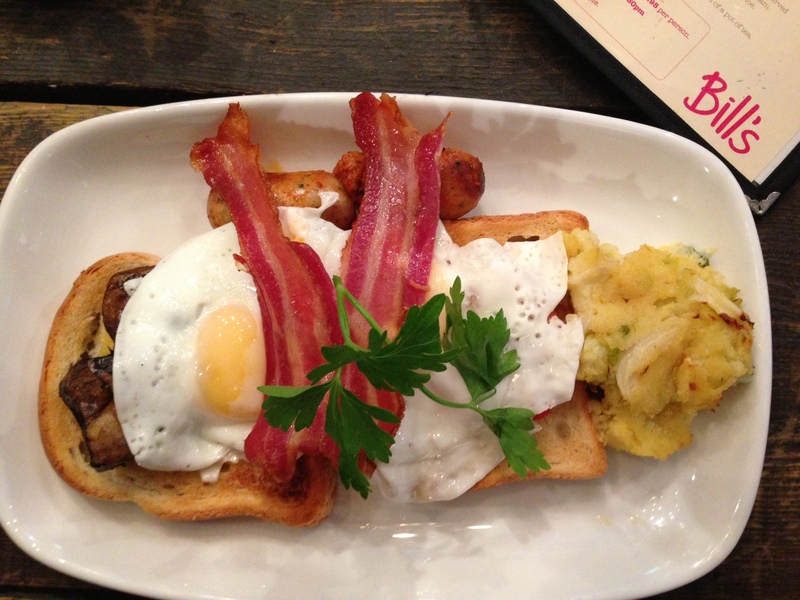 We had a good English breakfast with “bubble & squeak”. Don’t know what that is? It’s a hashbrown alternative made with mashed potato and peas. The British really seem to like their peas – I think they were in every single meal I ate in London! If I had remembered to order gluten-free bread I would have finished everything on the plate! At the end of the table is Elena O’Curry (Groupon), and going counter-clockwise from there is Nelle Steele (Microsoft), Alex (Pitney Bowes), Paul Klipp (independent), Todd Harple (Intel), Martha Cotton (GravityTank), Martin Ortlieb (Google), Sam Ladner (Microsoft), Steven Garcia (UNT), Erin Taylor (post-doc University of Lisbon), me (ZS Associates), and Gordon Baty (Gannett). 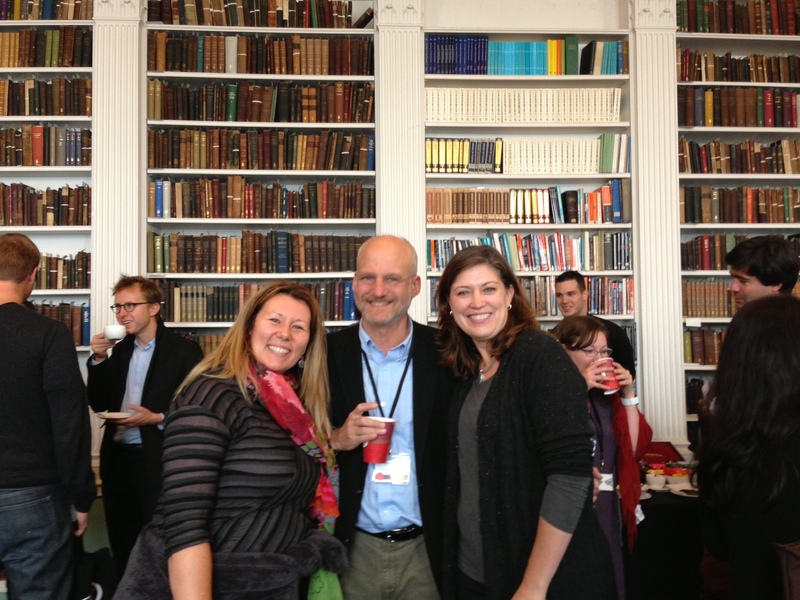 Also also a picture of me (right) in the library of the Royal Institution of Science with Tracey Lovejoy (EPIC co-founder) and Ed Leibow (now president of the American Anthropology Association). EPIC 2014 will be at the Fordham University Business School in New York City – I hope to see you there! List member Julien Cayla writes that he is moving to a new position in Singapore, at the Institute for Asian Consumer Insight, to teach ethnography and do research on consumer culture in South Asia. He wants organize an informal get-together for people interested in cultural anthropology / ethnography / design / consumer culture in January in Singapore. The plan is to meet for drinks in the Central Business District. Email him if you are in the area and would like to connect with a group of like-minded anthrodesigners – julien cayla at gmail dot com. Categories: events | Tags: singapore | Permalink.